Elodie Amiguet, Experimental deformation of diopside in the pressure and temperature conditions of the upper mantle. Thesis defended in 2009. 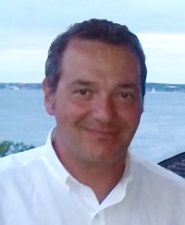 Other co-advisor: Patrick CORDIER. Present position: Responsable affaires réglementaires, société Imerys. 28 oral presentation(s), including 10 invited. 36 poster(s). Detailled list.